About Firm Foundations Romania… Sarah was born in Boston, raised in California. She moved to Romania thirteen years ago, where she was led by God to establish a not for profit organisation; Firm Foundations Romania. Sarah’s organisation has grown over the years, beyond her original vision, as her team at Firm Foundations has supported and educated Roma children, and run an international volunteer program. Volunteers from around the world can spend time at the baby hospital in Brasov, holding babies, thereby providing them with much needed love and comfort. This is Sarah’s passion today. To make a difference in a person’s heart through Christ’s love for them. God has gifted Sarah with the ability to write and perform beautiful music, which today reflects her life and those whom she serves. Sarah’s music is being distributed in Germany, Austria and Switzerland. This year, she recorded in Nashville with Russ Long. Sarah is living out her passion to help humanity and inspire lives through her inspirational music. Sarah is grateful to God for His calling on her life. 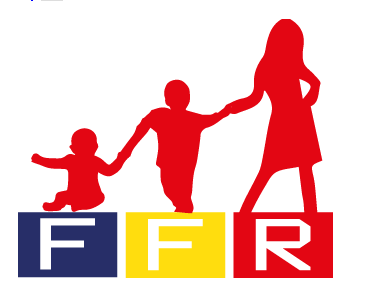 FFR is a non profit organization whose mission is to follow Christ’s instruction to assist widows and orphans in their trouble. Our purpose is to provide aid in a practical way to the abandoned children of the Brasov Children’s Hospital and the Roma community. Our focus is loving the unloved and providing educational opportunities to the forgotten youth of this country. Our goal is for future generations to have a better quality of life; our hope, that they would then be influenced to serve others and be an example for the people of Romania. *We have parental permission for all photographs of children used on this site. It all started with one bag of diapers… Sarah and Steffi (President and Vice President of FFR) remember the first day they walked into the Brasov Children’s Hospital and saw children wrapped in seven layers of rags lying in their own feces and urine. The stench was terrible, and the children looked desolate. They started to bring in diapers that were bought with their personal money and asked the nurses if they could help change the children. Relationships and trust were built with the nurses and the social worker as they continued bringing in more and more diapers. Thus the hospital project started. Children are still being abandoned and neglected in Romania due to a myriad of social issues. Firm Foundations Romania has started an international volunteer program to hold, feed, change and care for these children in the local Children’s Hospital, where we have formed a partnership which enables us to run the project. Our volunteers change over 4000 diapers a month which we supply. Our volunteers come from all around the world, uniting hearts for the plight of Romania’s youth. It is time to make a difference. There are many ways in which you can help. We are always seeking volunteers, both short term and long term to serve with our various projects. We are in need of donations such as clothing, hygiene products, school and craft supplies. At present we are seeking financial sponsorship of numerous projects, including diapers for the Hospital Project as well as sponsorship of our After School Program. © Copyright 2015 Firm Foundations Romania. All Rights Reserved. ← Romanian Domestic and International Adoption Statistics.